Many head to Colorado Springs to hike the trails when warm weather finally hits, and even more take to the slopes of Aspen and Vail during the winter. 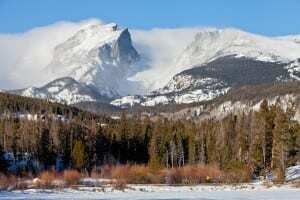 Estes Park, however, is just one of those perfect destinations where the season is completely irrelevant. 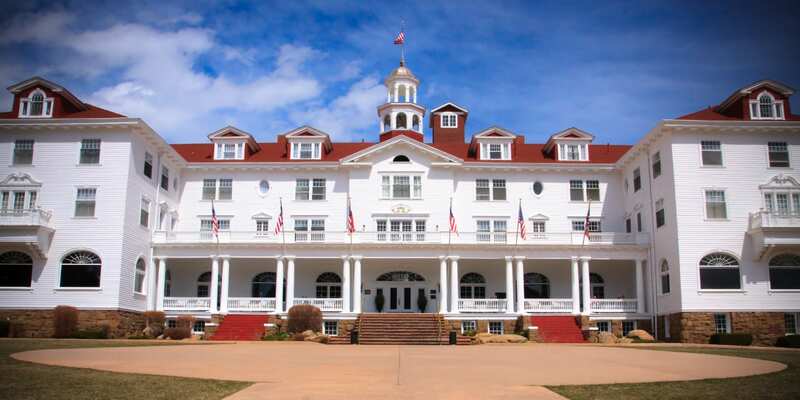 Those looking to head up into the mountains for some real Colorado fun can visit this beautiful destination during every month of the year. 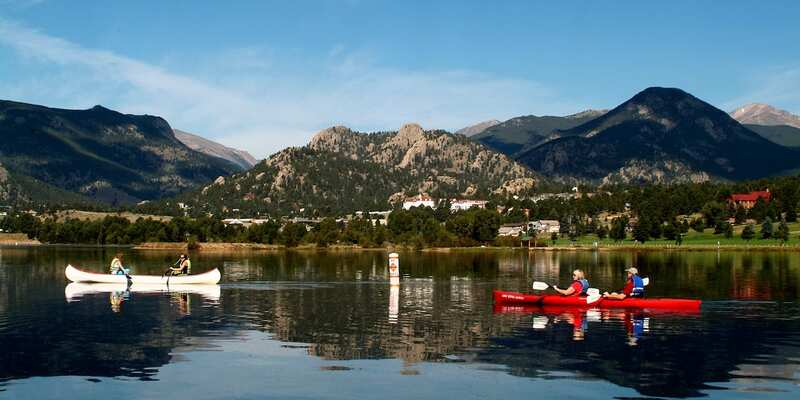 Families especially will love taking the canoes out on Lake Estes or viewing the wildlife—most of which you can spot along the roads in town! 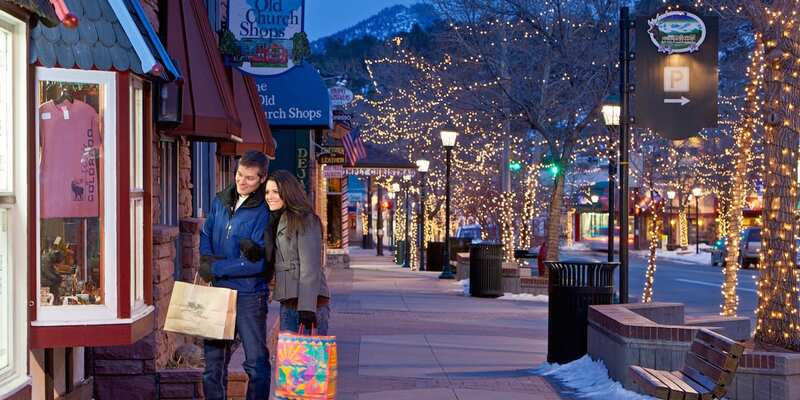 Meander through and shop in all of the quaint, locally owned stores on the main road that winds through Estes. You’ll find lots of treasures in the boutiques from Christmas ornaments to salt water taffy—and everything in between. Make a stop at Smokin’ Dave’s BBQ—Estes Park is the hometown for the very first of this small chain—for some awesome homestyle barbeque. (Ribs anyone?) For a cultured kind of afternoon, visit the Snowy Peaks Winery for some authentic Colorado vintage and some gourmet cheese. 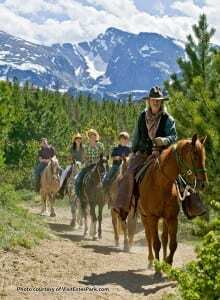 If you’d like to make it romantic—or simply need to get out and let the kids run wild—take your fabulous finds from the winery out into Rocky Mountain National Park for a picnic. 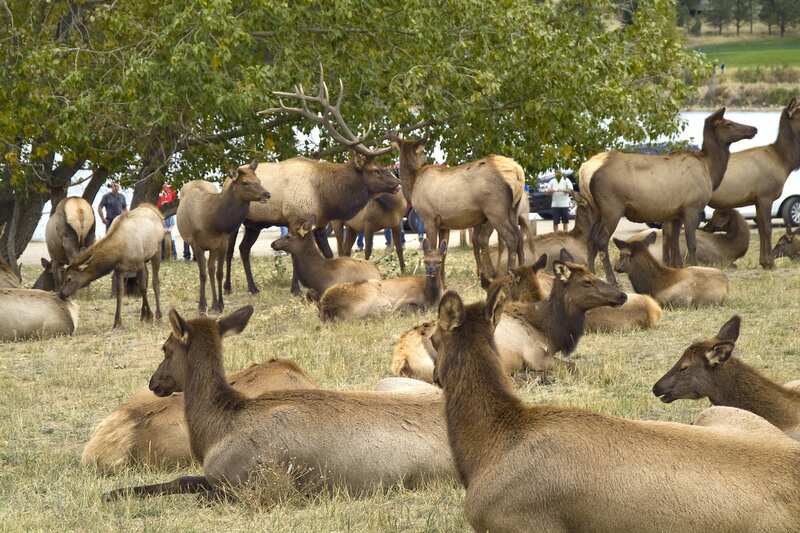 Basically, there’s almost nothing you can’t do in Estes Park in the summer. You can hike, bike, bird watch, kayak, go horseback riding, whitewater rafting, rock climbing, bouldering, fishing, and even golfing. Summer in Estes is sublime. Nothing is as stunning as a sleepy little town covered in a thick coating of powder. Hitting the trails with your snowshoes before anyone else has a chance to make footprints is quite an experience. 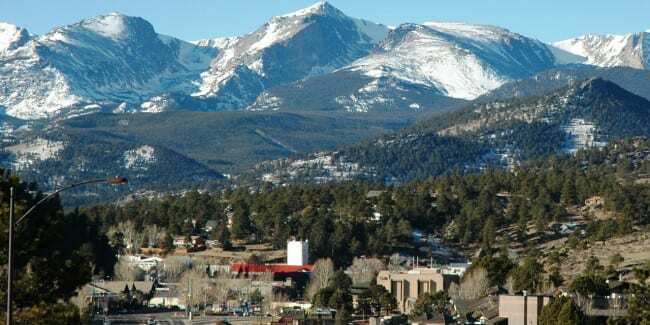 You’ve never seen anything as beautiful as the Rocky Mountains covered in a fresh blanket of snow, and Estes Park is the place to see the postcard-perfect scene up close. 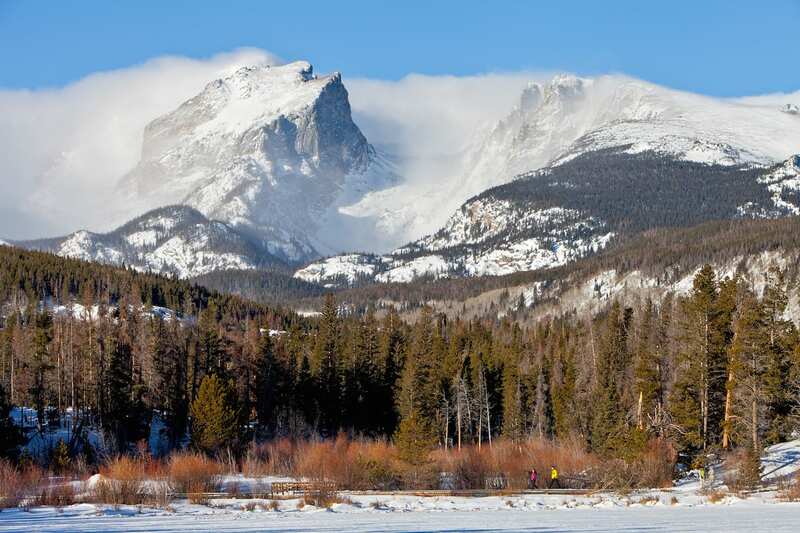 Skiers and snowboarders will have an amazing time tackling the slopes in Rocky Mountain National Park, and the little ones can stay busy by sledding and ice skating as well. For a new experience, take the whole family ice fishing, or if you are feeling up to the challenge, ice climbing. Have you ever tried an avalanche safety class or a snow cat tour? We didn’t think so. In January, celebrate with the locals at the Estes Park Winter Festival—just one of the many, many special events hosted by the city each year. When you’ve had your fill of the chilly, yet intriguing outdoor scene, head over to Mama Rose’s for some piping hot Italian cuisine to warm you inside and out. 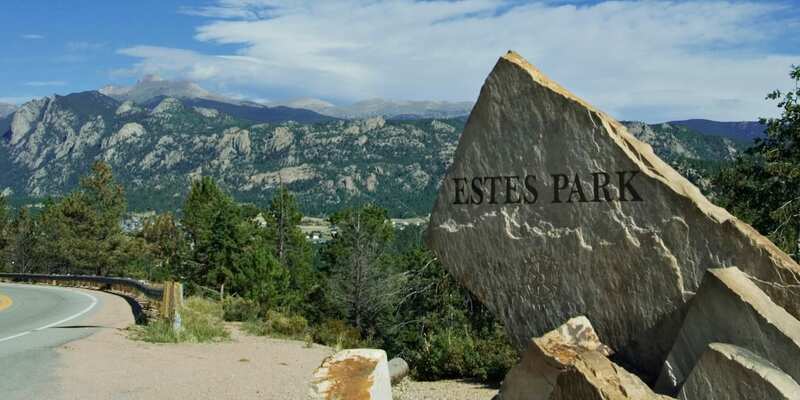 Some destinations are only appealing in the summer, some only in the winter, but with Estes Park, Colorado, you get the entire package. Everybody will want to get outdoors and discover the beauty and wonder of the Rockies when they visit here. The hardest part is deciding which season to go—you may just have to go more than once. Estes Park Celebrates Epic Winter Festival!